Dr. Mayhill C. Fowler (Ph.D. Princeton) is assistant professor of history at Stetson University, where she also directs the program in Russian, East European, and Eurasian Studies. She teaches and researches the cultural history of Ukraine, and has published widely on Les Kurbas and the Berezil, Yiddish theater, film, and the arts in Ukraine broadly conceived. Her first book, Beau Monde at Empire's Edge: State and Stage in Soviet Ukraine (Toronto, 2017), tells the story of the making of culture both Soviet and Ukrainian through a collective biography of young artists and officials in the 1920s and 1930s. Her second project, The Military-Entertainment Complex in the USSR: Theater on the Frontlines of Socialism, investigates how we entertain soldiers, through the lens of the former Red Army Theater in Lviv. She also works on Soviet actresses and 19th century itinerant theater troupes. She was a postdoctoral fellow at Harvard and the University of Toronto, and holds an MFA from the National Theater Conservatory. 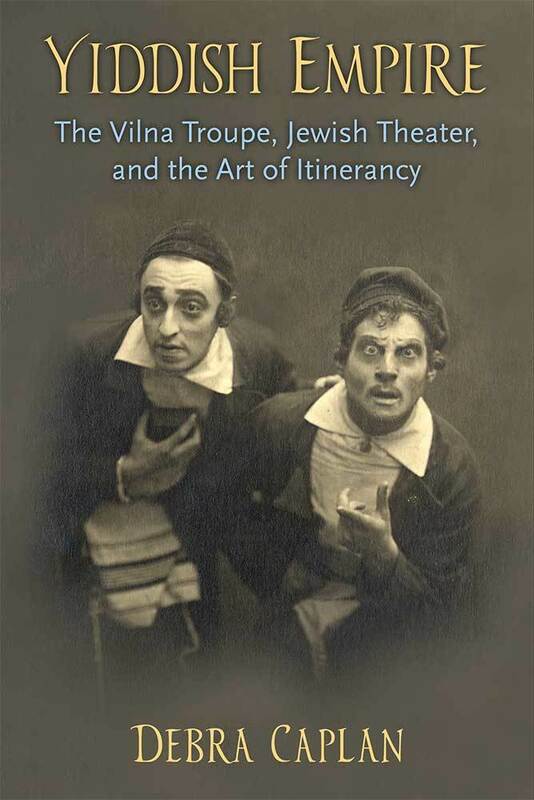 In the brief decade of its existence, the Vilna Theater Troupe radically changed Yiddish theater, and the global stage.